When Noah was four years old he had his first break as an actor in an AT&T spot from Gartner TV. During that shoot, crew members had to erect a black curtain to prevent young Noah from looking at what was going on behind the camera. That should have been a sign. 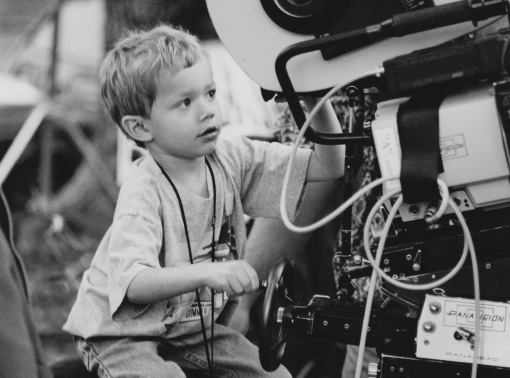 His interest in film grew from his parents participation in the film industry and Noah spent many hours of his childhood on film, television, and commercial sets; carefully observing the inner workings between crew, actors, and production staff. By fifth grade, he had won two student film festival awards for A Letter To Abigail, a film he wrote, directed, and edited (while on set of Seabiscuit), which starred his SAG actor friends. He resumed his filmmaking pursuits in high school, and coupled with a strong liberal arts program, became familiar with humanist subject matter, as well as an appreciation and knowledge of history, philosophy and the arts. Noah spends his spare time in art museums, finding eclectic music shows and shooting shorts, music videos and exploring immersive media. He also is working on a documentary about Al Aronowitz, his maternal grandfather, a rock n’ roll journalist famous for introducing Bob Dylan to The Beatles. He idealizes the emotional space between frames and people; in fixating on the smallest of details, the story emerges. He rejoices in process, collaboration and execution. His focus is meaningful human moments, creating new perspectives through a youthful, energetic touch. © 2019 Noah Luke | Director. All Rights Reserved.